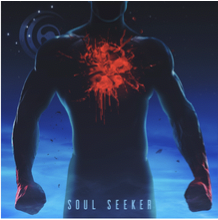 Japanese metal juggernauts Crossfaith have been tapped to write the opening theme song for a brand new Japanese animated series called “Souten no Ken.” The result is a searing new single, “Soul Seeker,” streaming now at unfd.lnk.to/SoulSeeker. On the new song, lead singer Kenta Koie shares: “This song was born right before we started writing our newest album EX_MACHINA. This song is about a human who is looking for the reason why he Iives his life, and it relates to the theme of EX_MACHINA too.” This past summer, Crossfaith released, EX_MACHINA, out now via UNFD and streaming on Spotify and Apple Music. A fast-paced and blistering adventure that transports listeners to a dystopian future, EX_MACHINA features cameos from Enter Shikari frontman Rou Reynolds and industrial hip hoppers Ho99o9. It can be purchased online at: unfd.lnk.to/ex_machina. A concept album set in an alternative near future, EX_MACHINA explores a story in which the ruling class, known as Angels, maintain their world through artificial intelligence and other technology. The efforts dehumanise people and effectively turn them into drones – as explained in the opening title track, “Deus Ex Machina.” The other 12 songs featured on the album represent the voice of the resistance – in the form of underdogs known as Demons. Kenta was inspired to include these figures by Devilman Crybaby, particularly on the Slipknot-esque “Catastrophe,” the frantic, bloodcurdling “The Perfect Nightmare,” and the epic assault of “Daybreak,” rather than because they wanted to provide a comment on religion. “There’s no particular religious message,” clarifies Ken. “In order to explore the dualism of humans, we decided to include Angels and Demons, which are opposing elements just like fire and water.” “Angels aren’t necessarily good and demons aren’t necessarily bad,” he explains. “The most important theme is that we should never stop questioning the world around us.” EX_MACHINA is a relentless album that strives for the listener’s attention, and is unquestionably the heaviest that Crossfaith have put their name to since forming in their native Osaka in 2006. 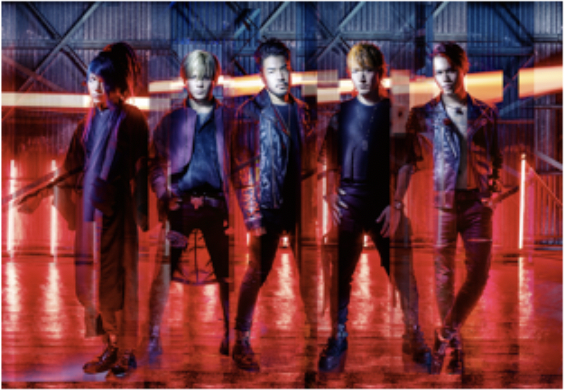 Since their inception, Crossfaith have been on the edge of a fusion of rock, metal, electronica and big ideas on their albums; and the edge of euphoria with their live shows. EX_MACHINA is the album on which they walk that fine, fiery line more skillfully and seismically than ever. EX_MACHINA is now available for purchase here: unfd.lnk.to/ex_machina.